This stunning recreation vintage cake topper features a sprig of rhinestone studded roses in a sea of faux pearls accented with fine gold wiring. 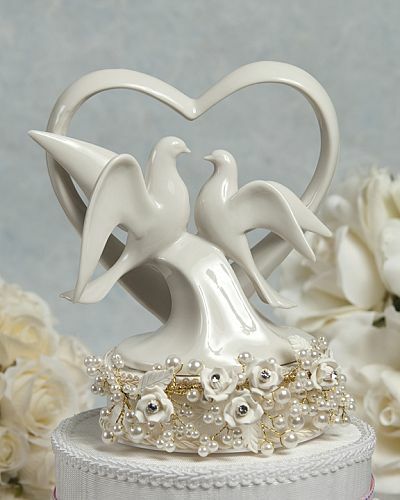 It compliments an elegant white porcelain heart and doves cake top figurine. Base is wrapped in moire and accented with silk cording. The base is available in ivory with gold wiring or white with silver wiring.